European Castles have caused wars; inspired fairytales; and defined entire nations. Europe is the birthplace of the castle, and is home to the vast majority of ‘authentic’ castles in the world. Although European castles have passed their heyday, there are still tens of thousands of castles dotted across mainland Europe. Some are ‘disappeared’, others are in ruins, and some again are luxury homes. Let’s get stuck in and explore some of the greatest castles in Europe. The beautiful moat and surroundings of Kasteel de Haar. Not many authentically Medieval castles have survived in the Netherlands. However, there are still plenty of grand fortresses to explore. 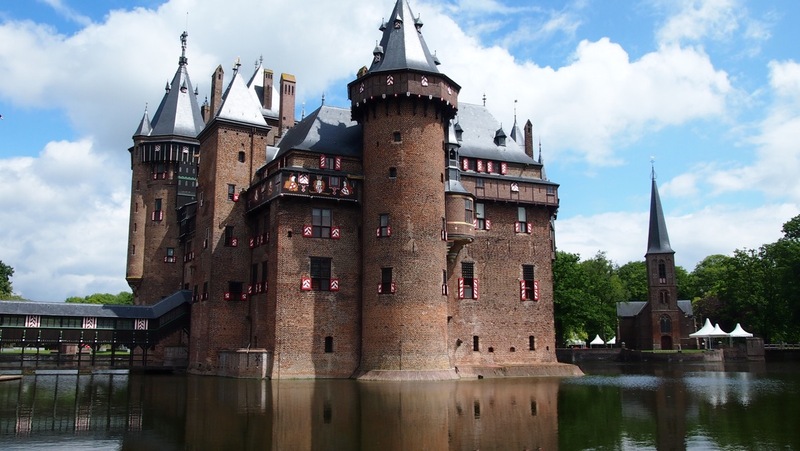 Kasteel de Haar, above, is a picture-perfect castle in the outskirts of Utrecht. As I alluded to, de Haar Castle was rebuilt on Medieval remains, back in the 1800s. Nonetheless, it’s a beautiful sight – and an entire village was destroyed to make way for it! Discover one of Europe’s most picturesque mock-Medieval castles. . .
It’s easy to think you understand Italy – imagining the deep green olive groves and sun-drenched terraces. But there’s a lot you may not realise about Italian history! Although everyone understands the Romans, not everyone understands the role of the Normans, the French and even the Spanish in shaping modern-day Italy. All these influences have lead to some incredible castles in Italy. From the delicate octagonal shape of the Castello del Monte (pictured) to the huge bulk of Castel dell’Ovo (literally ‘Egg Castle’), you might be amazed at the diversity of these European castles. Uncover some of the greatest castles in Italy. . .
Discovering the greatest of Belgium’s Castles – Gravensteen. Despite being a diminutive European country, Belgium has a disproportionate number of interesting castles. These mighty fortifications tend to have been founded during Medieval conflicts. How come? Well, during the Middle Ages, the Low Countries were a series of squabbling principalities. Of all the castles in Belgium, two of the most interesting are the bulky fortress of Gravensteen in Ghent; and the unusual towers of Beersel, near to Brussels. Get exploring some of the most interesting Belgian castles. . .
Switzerland has more than its fair share of remarkable castles, set against the jagged alps. The awe-inspiring Chillon Castle, above, stands out as one of the most beautiful of all European castles. Chillon stands on the banks of Lake Geneva, and is filled with perfect pointy turrets and grand Medieval banqueting halls. Beneath the castle, you’ll discover huge, vaulted dungeons cut into the castle bedrock. These dungeons inspired the poet Lord Byron, whose work ignited the tourist boom that Chillon Castle still experiences today. Uncover more incredible castles in Switzerland. . . Situated at the very heart of Europe, Austria is famous for bejewelled palaces, Mozart’s masterpieces, and for the grand Medieval fortresses scattered throughout this green and pleasant Alpine country. Austrian Castles tend to be found in awe-inspiring pine valleys, or perched atop rocky-outcrops, guarding towns like Salzburg and Vienna. Burg Hochosterwitz, pictured here, is a truly unique European Castle because the steep road to the keep is guarded by 14 huge gates, each posing a different challenge for intruders. One gate is is fortified with hidden spikes – and another has holes for boiling oil. It’s details like this which make Austrian Castles so special. Uncover more fairytale Austrian castles. . .
A vast and sparsely populated land, Sweden has enjoyed being one of most stable countries in Europe, since Medieval times. The only downside of this phenomenal record of political stability is that there’s not the same density of castles in Sweden when compared to other European countries. However, it has some staggering historical sites can’t fail to grab the imagination. From the delicate octagonal shape of the Borgholm Castle (pictured) is one of the most expansive and eerie ruins in Northern Europe, whereas Gripsholm Castle is an ornate palace, with lavishly decorated chambers. Discover more about these unique and incredible castles in Sweden. . . Thanks to Bram Stoker’s vampiric novel, Castles in Romania have become synonymous with one particular individual. Dracula! In truth, there’re a number of different Romanian castles which inspired Stoker’s gothic masterpiece. And it’s also worth saying that the grisly character of Dracula was conjured from the dark and gruesome deeds of one Medieval monster – Vlad the Impaler. Today, you may not need a clove of garlic and a wooden stake for your visit to Romania. Nonetheless, there are fortresses which might well send a shiver through your spine. Discover more Castles in Romania. 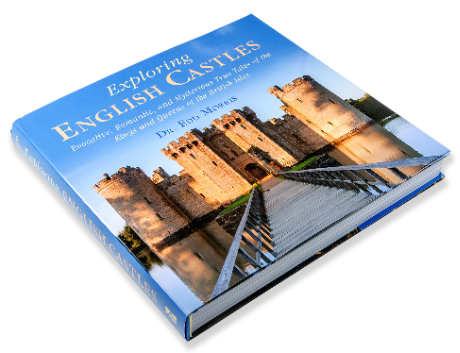 . .
European Castle History: Who built the first castles? The first castles were probably constructed in Europe in the 800s. However, from the 10th century onwards, it was the Normans who started to build castles with particular vigour. The Normans hailed – unsurprisingly enough – from Normandy in France. They were incredibly successful and tenacious fighters. In 1066, they invaded England (changing the course of British history forever), and they also staked claim to Italy, Sicily, and even Byzantium. Here, the Bayeux Tapestry shows Harold II of England being killed by the Normans. Apparently, he was killed by arrow to the eye – ouch! The Normans were excellent at capturing new territories. But they desperately needed to keep a hold of everywhere they’d managed to conquer. And so they became masters of the Motte and Bailey castle – a simple earthworks castle that was quick to create, but powerful for defence. Wherever the Normans captured, they then constructed a castle to shore up their power. Seeing the Norman’s success, their castle-building strategies were emulated by other European warriors – and, surely but steadily, castles began to advance across Europe. Why Were Castles Built throughout Europe? To really understand the significance of European castles, its useful to have an understanding of Medieval history. The first thing to remember is that, until Late Modern times, the map of Europe looked very different to how it does today. Dover Castle, England. Henry II (whose castle it was, in the 1100s), also reigned over much of Western France. The European borders we understand today were very different in Medieval times. The nation states of Germany, Spain, the UK and many of the countries in Eastern Europe were only founded relatively recently. Back in Medieval and Early Modern times, Europe was a very different place. Power was fragmented and held locally by lords, barons, or even regional kings. Europe was a ‘patchwork quilt of power’: lots of little adjoining areas each ruled separately by their own noble. These nobles were kept in check by their own rulers: the Pope, the Holy Roman Emperor, or perhaps the King of England or Queen of Spain. But the most important thing to remember is that power was held very locally. Of course, this all makes when you think of it. Medieval and Early Modern people didn’t have phones, internet, roads or communication as we do. Things had to be restricted to a ‘local scale’. We’re very used to seeing logos, nowadays. But limited communications would have meant that very few peasants would ever have seen this coat of arms for Henry II of England. In fact, as horseback was the fastest mode of travel, and the printing press wasn’t invented until 1440, they might not even have known he was their king! This context of ‘localism’ helps explain the history of European castles. Rather than a big state exercising control over all the people within it, control was held at a local level. And castles helped do exactly that. Power radiated out from these European castles, securing their hold over local towns and villages – and keeping the landed in control. European Castles have caused wars; inspired fairytales; and founded nations. Discover the most incredible castles in Europe, and uncover their secrets.